Many thanks to graphic designer Abdullah Hassan and Private Life marketing manager Tiffany Wu for their work on creating the poster for our film and the many other graphic collateral needs of the project. As soon as we raise the funds to do so, we will send the poster off to the printer! Check out Abby’s comments about working on the poster here on his blog. 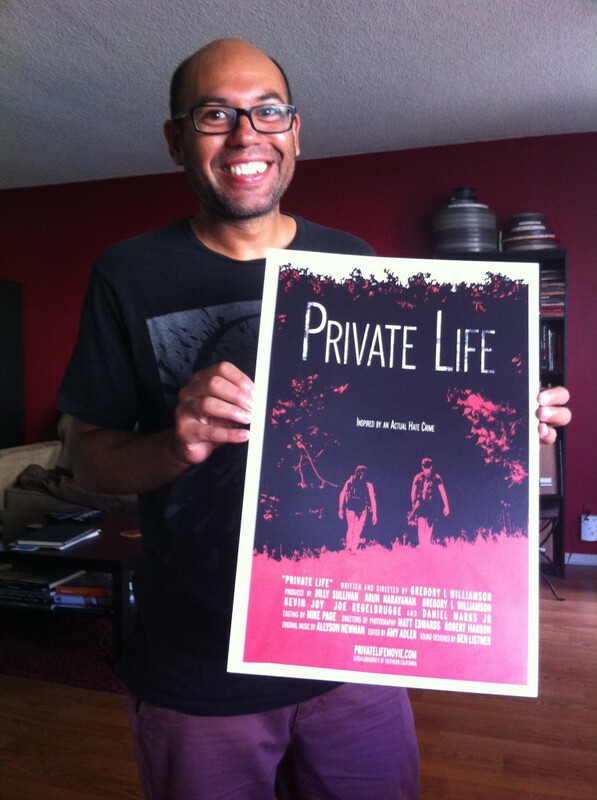 And here he is Abby with our first test print of the poster. This entry was posted in Post-Production, Social Media, Uncategorized and tagged Abdullah Hassan, Poster, Tiffany Wu on August 4, 2013 by Storylighter.